Stockport Council has teamed up with local NHS services as part of a national campaign to promote the health benefits of self care. More than 22 million people have been targeted by the Choose Self Care for Life campaign, launched by the Self Care Forum to coincide with Self Care Week 2018. Stockport Council’s cabinet member for health, Councillor Tom McGee said: "Largely avoidable conditions such as type 2 diabetes, heart disease and COPD (chronic obstructive pulmonary disease) are all on the increase. If we can prevent these, we can avoid a lot of suffering, which is better for you and your family. The campaign encourages patients to take control of their own health and wellbeing through self-treatment and healthy life choices. The Self Care Forum advocates small changes that deliver long-lasting improvement in patient’s health, from getting more sleep and exercise to connecting with those around you. "Keeping as active as you can and eating a healthy diet are really important,’’ said local GP and chair of NHS Stockport CCG, Dr Cath Briggs. The campaign urges people to ‘choose well’, aiming to encourage patients to better utilise services such as their local pharmacy and, in turn, alleviate pressure on NHS staff and resources. Stockport Council are offering free short courses to give residents the knowledge and confidence to help themselves. Wellbeing and self care services, including expert patients courses can be accessed by referral from your GP. 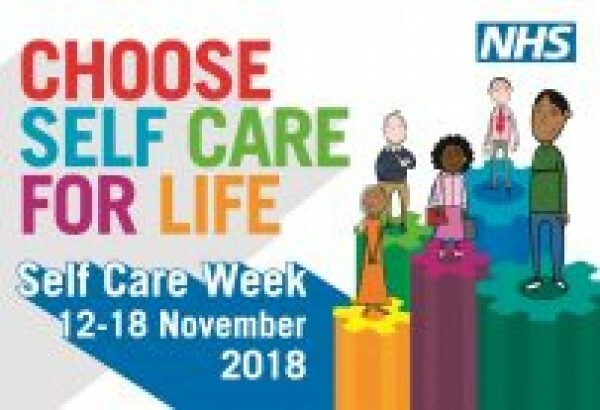 Self Care Week 2018 runs until 18 November.